It's fun to let friends share their DIY projects from time to time. So today I have my friend Lindsay from My Creative Days with one of her original projects.Welcome Lindsay! Hello, DIY Beautify readers! My name is Lindsay and I write the blog My Creative Days. 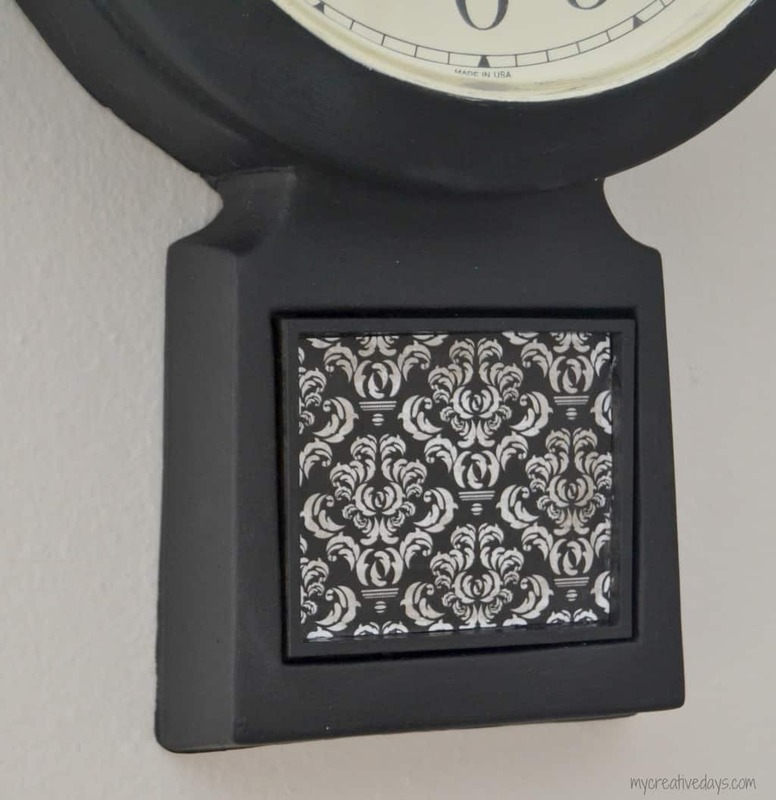 I am happy to be here to share my thrift store clock makeover with you. 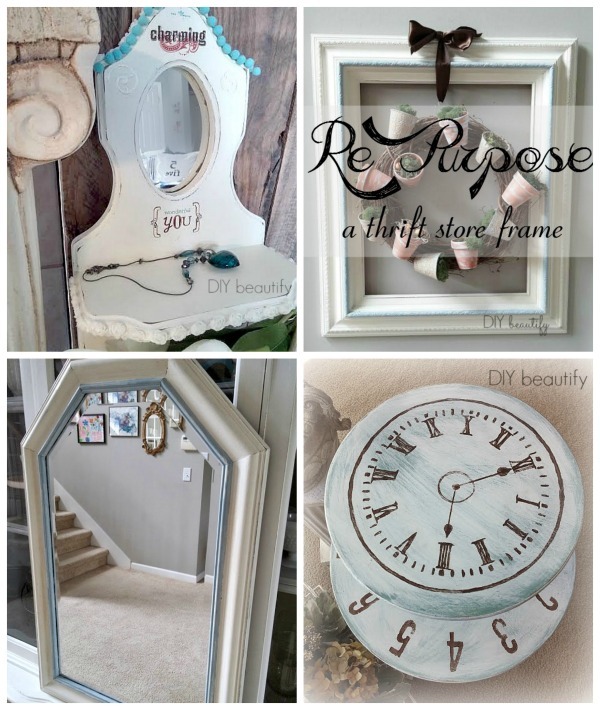 I am obsessed with DIY, repurposing and upcycling. I love decorating our home with treasures I have picked up and made over to work in our space. 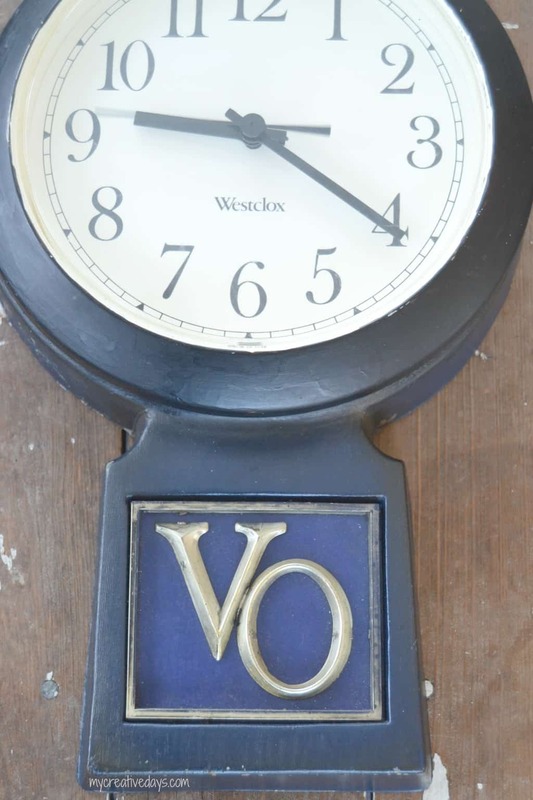 A few weekends ago, I scored this great clock at a thrift store. 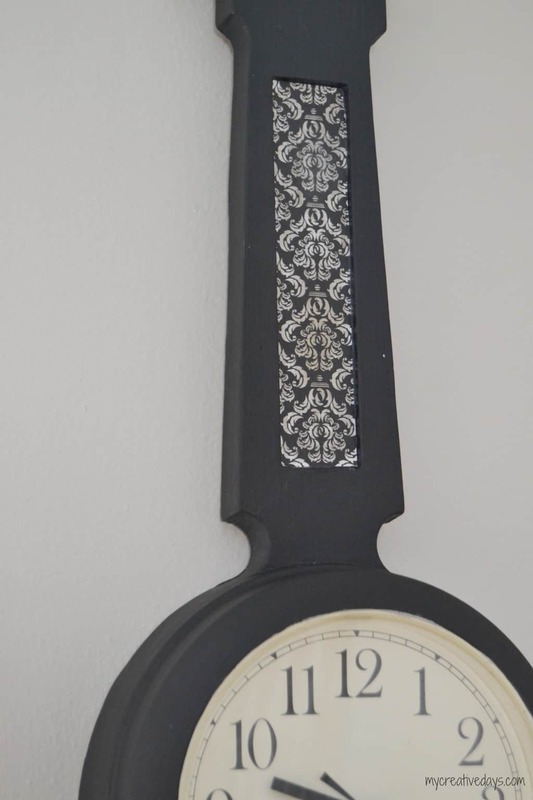 I really liked the shape of this clock and all the potential it had. The "insets" on the top and bottom are a perfect opportunity to change and make more visually appealing. This makeover was very easy. 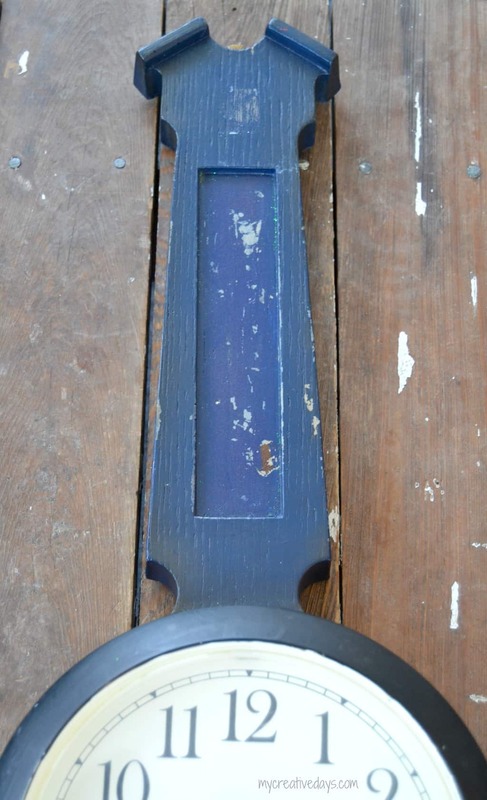 I painted the clock black. Then, I popped the plastic Roman numeral off the bottom and added some pretty paper. I Mod Podged the paper in both the top and bottom "insets" of the clock. 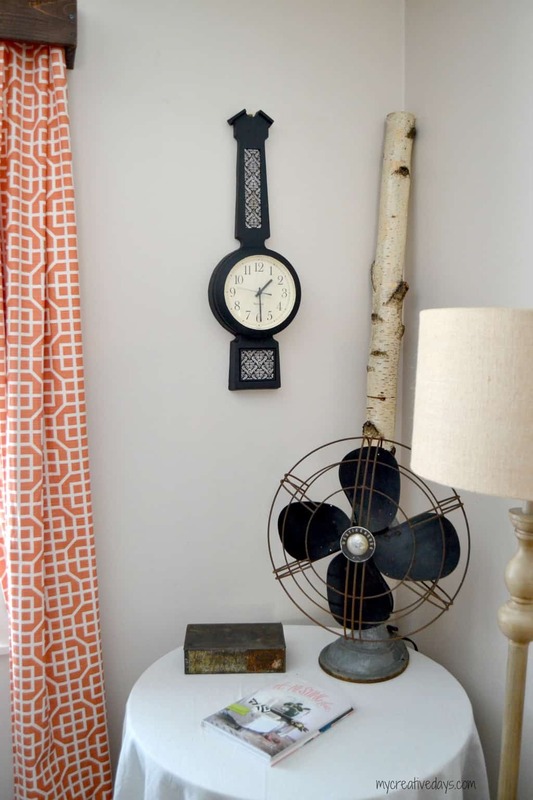 I hope you have enjoyed this easy Thrift Store Clock Makeover. You can find more of my creative projects on my blog, Facebook, Twitter, Instagram, Pinterest and G+ ! Thank you Lindsay for sharing with us today! 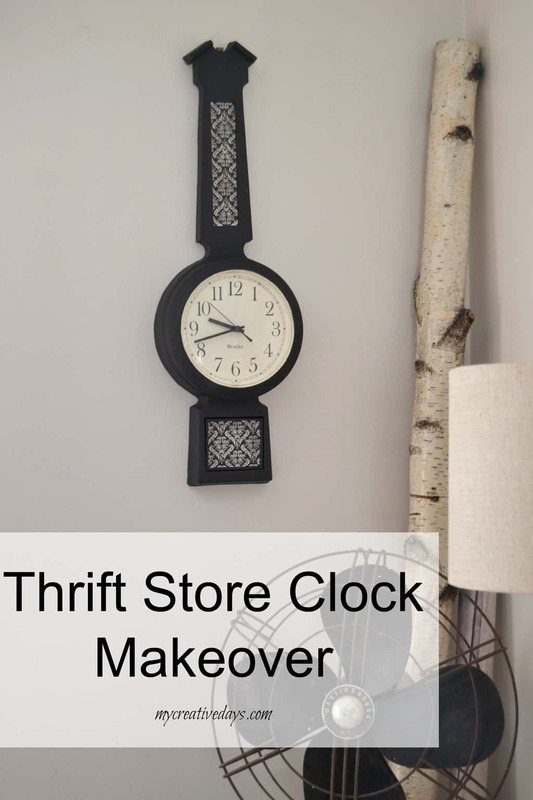 I'm a lover of thrift store makeovers, so this one was close to my heart!